Entry located in Berry Street at rear via West St Moama. Situated opposite the Moama Bowling Club, within walking distance to the main shopping centre, Echuca's Historic Port area, Murray River and nature walk at Horseshoe Lagoon. Apartments include: * Dishwasher * Microwave * Wall oven & hotplates * Cooking utensils, saucepans, crockery, etc * Colour TV & DVD player * Split System Heating & Cooling * Bath & Shower * Iron & ironing board * Washing machine * Clothesline * Cots & high chair available on request * Each Apartment has ground floor and upstairs bedrooms, private courtyard with BBQ and carport. Close to town, good air conditioning. Has everything you need. Our family stayed here over New Years. The apartment was great value for the money. It was neat and clean when we arrived and had everything we needed. There was even milk in the fridge and tea and coffee along with a little hamper of food which was nice. The weather was exceptionally hot but the air conditioning worked well and we stayed nice and cool. 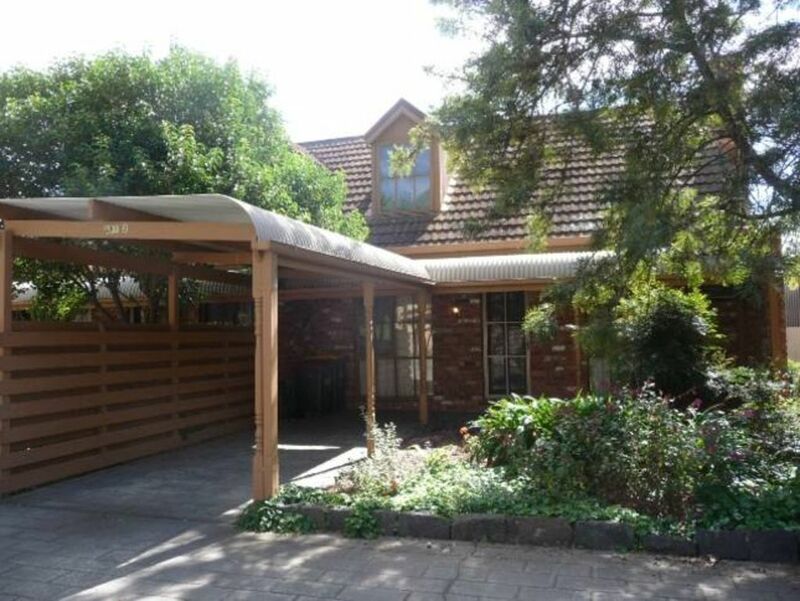 The location is ideal as it's in a quiet street and an easy walk into Echuca or to the shops. There was plenty of parking which was great as we had a boat. We would definitely be happy to stay here again. Thank you and happy your enjoyed your stay. Not very clean. No tea, coffee or milk. One loo paper for four adults. Not really for older guests as there was no upstairs toilet. Also if one in the shower, others had to wait to use toilet. Very dated decor and carpet had a tear in the middle of lounge room. Springs gone in one sofa. We have had many satisfied and repeat visitors to our property and at very reasonable rates in a great location. Your experience wasn't a good one. We always respond to any comments and follow up any deficiencies. We always store extra coffee, sugar,and tea bags in the store room and also a sealed container in the overhead cupboard is regularly replenished. This applies to the toilet paper and spare rolls are kept in the bathroom cupboard separate to the WC. The property is cleaned before each booking and all beds are made up with fresh linen through the drycleaning linen hire. Yes, this is a 3 bedroom property with one bathroom and one WC and the decor is a little dated in these country cottage style villas and some updating will take place to the bathrooms next year. The good news is, we have some brand new modern furniture and a lovely new rug arriving in the next few weeks, along with new doonas and coverlets.Always endeavouring to be better. Beds are too hard, had to put blankets under the sheet. No coffee tables next to couches, had to use kitchen chairs as tables for coffee cups, drinks etc. No dish rack in the kitchen. The giant tree in the front garden is dropping leaves everywhere leaving a mess that you have to walk thru to get to the front door. It was windy and wet and therefore my car was covered in muck and leaves from the tree....in the vents and under the wiper blades, no nozzle on the garden hose, just a sprinkler......so had to buy a nozzle to hose the debris off the car. Clean comfortable and suited our needs adequately. keys to the wire screen doors don't seem to work. All else was good thankyou.